Typically, maps about migration in news frame migrants as faceless masses. The article by Paul C. Adams, of the University of Texas at Austin, looks at unusual maps found from news media as well as from NGOs, private companies and entertainment, offering an alternative for the journalistic bias. Map the paths taken by particular refugees, asylum seekers, and immigrants before, during, and after the period of relocation. 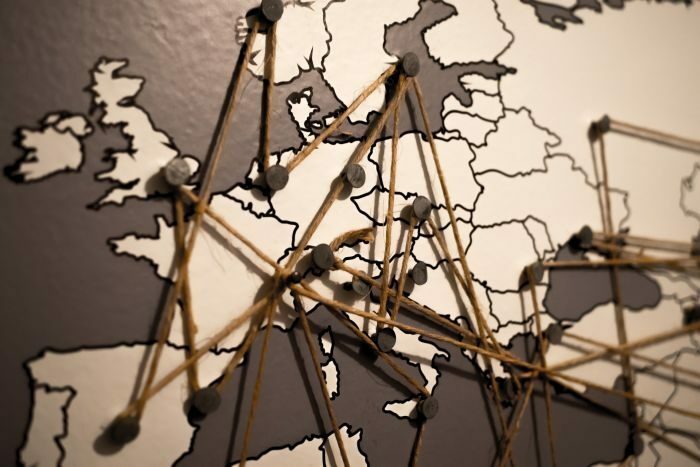 Map the risks faced by people who are traveling to Europe as refugees, asylum seekers, and immigrants. Map immigration in ways that invite audience involvement and participation. Map the non-geographic spaces that refugees, asylum seekers and immigrants must navigate on the way toward becoming full citizens. The article “Migration Maps with the News” was published in Journalism Studies and is available online (free abstract).